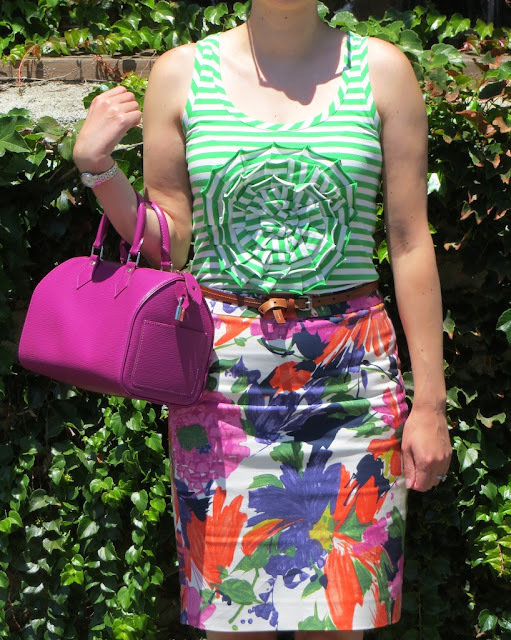 Pairing stripes with patterns, and in many cases floral, isn't something too novel. 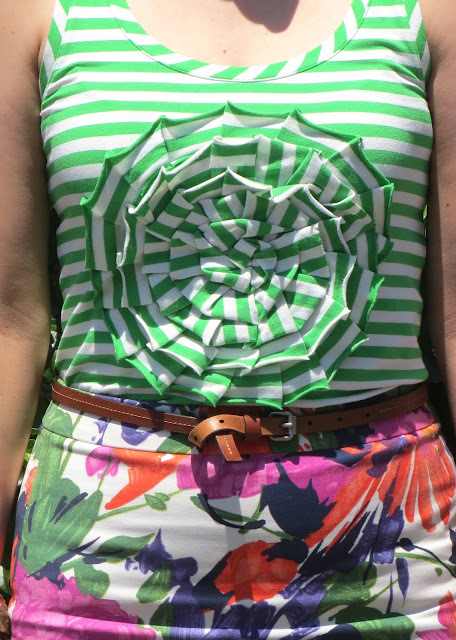 Regardless, I like the fact that this green striped tank from Kate Spade is slightly different and features what I would describe as a pinwheel pattern front and center. The design provides just the right amount of something different to the tank and also the outfit. Sure I've worn this J. Crew no. 2 pencil skirt in Garden Floral plenty of times before, but I'm trying to pair it with something new every time I wear it. I suppose that is one of the benefits of having a blog and keeping track of what you wear on a regular basis; you are encouraged to try something a little different every time. It certainly prevents your wardrobe from becoming stale. Thank you phiphi! I couldn't agree more about using a blog to catalog outfits and inspire new ones. Oooh the stripes with floral print - love this! And your bag is droolworthy, too!